My niece doesn't like wearing mittens. Can you blame the little girl? When your hands are so small it's sometimes hard to make sure you get your thumb into the right spot. 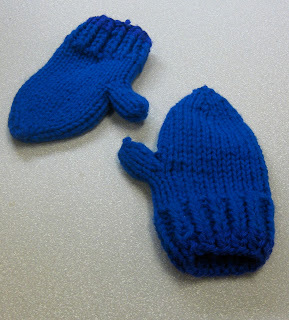 So, I decided to make her some mittens that would hopefully be exactly the right size. And they are! At least for this year. I'm sure next year I'll have to make her a new pair. But no worries. She's worth it.